On June 3, 2015, Judge Ron Ware found Bishop Slade Dubroc, 20, guilty as charged of two counts of Attempted Second Degree Murder, Possession of a Weapon by a Convicted Felon and Distribution of CDS I. On November 3, 2013, Dubroc was driven to the St. Charles Place Apartments by a female friend. Upon arrival at the apartment complex, located on West 18th Street in Lake Charles, Dubroc sold marijuana to a male acquaintance. Following the drug transaction, a confrontation occurred between Dubroc and another male on scene. Dubroc opened fire with a .40 caliber weapon, and the car he was riding in sped away. Two people were shot by Dubroc, including the male who purchased marijuana. The other victim, a 26-year-old pregnant female, was sitting in a car nearby. While both victims survived, the female suffered extensive injuries from a gunshot wound to the head. 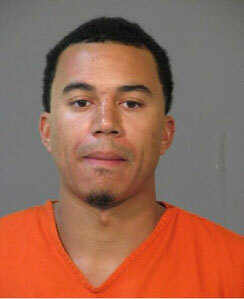 Dubroc was on felony probation at the time of the incident following a simple robbery conviction. Judge Ware set sentencing for July 29, 2015 at 10 a.m.
Assistant District Attorney Bobby Holmes prosecuted the case for the Calcasieu Parish District Attorney’s Office with the help of Assistant District Attorney Lawrence Babineaux.